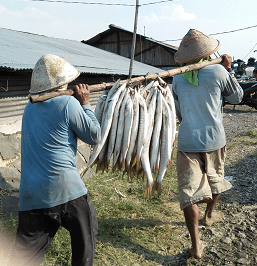 The agriculture, forestry, plantation, and marine fisheries sectors provide livelihoods for a significant fraction of the Indonesian population, yet contribute less than one out of every ten dollars of revenue received by the provincial and the national governments. 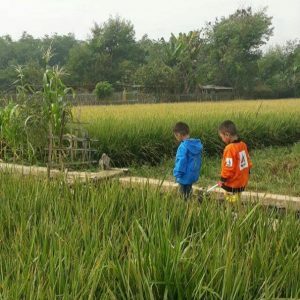 In many resource-rich regions, poverty rates are high and local residents receive little or no benefit from the exploitation of the country’s abundant natural wealth. Two Indonesian civil society organizations – Perkumpalan Inisiatif and Seknas FITRA – hypothesized that weak administration and corruption contributed to weak revenue collections and designed an ambitious research project to test this hypothesis and develop recommendations for improving revenue collections and resource management. While both Inisiatif and FITRA brought a strong background in spending-side budget analysis to the table, this effort was the first by each organization to address the revenue side of public budgets. The basic analytic approach – review of public documents, budgets, laws, and data sources – largely drew on the same skills used in budget analysis. But the project differed from traditional budget analysis in its focus on potentially sensitive subject matter – corruption – and its reliance on key informant interviews. The focus on non-extractive natural resources also distinguished this project from prior efforts in Indonesia and in other resource-rich countries. Researching the policies and practices governing national and sub-national revenues in these sectors. Mapping the actors involved in managing and advocating for better management of each of these sectors – including their capacity and the relationships among the various individuals and institutions. Engaging a wide array of stakeholders to develop a common agenda for improving sectoral governance. The project relied on extensive field work – “revenue sniffing” – conducted by members, staff, and leaders of the two organizations. The sniffing process deployed detailed interview protocols tailored for each sector, designed to identify evidence of tax evasion, permitting violations, or other forms of corruption and mismanagement. Field researchers interviewed a range of actors including government officials, workers, and others that might have knowledge of practices affecting revenue collections. The field interviews also sought to inform the development of recommendations for improving revenue collections and resource management. Perhaps more importantly, the revenue sniffing process was also key to the project’s advocacy strategy and was designed to prepare the field researchers to become leaders in subsequent advocacy activities. The problems identified by the research were largely consistent across the four focus sectors. Each of the sectors suffered from a general lack of transparency and accountability. Permit and licensing processes were complicated, which created opportunities for corruption and made it difficult for legitimate businesses to operate. Revenue administration was weak, leading to poor compliance and opening the door to corruption. Affected communities understood that they often did not benefit from the exploitation of natural resources, but lacked the knowledge on how to respond in a manner that could achieve results. The lack of comprehensive and consistent data contributed to inadequate oversight and poor compliance. Researchers concluded that improved governance would present a “win-win” opportunity for increasing revenues and improving the plight of local residents that depend on natural resources for their livelihoods. The scope of the project. Researching four sectors in 11 Indonesian provinces simultaneously was challenging. In retrospect, the project organizers say they would have started with one or two sectors, rather than four. This would have enabled them to apply lessons learned in one sector to work on other sectors. 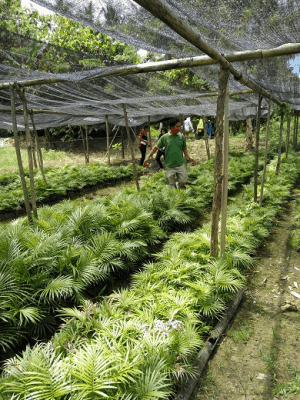 Based on this experience, the next phase of the project was narrowed to two strategically important sectors – forestry and plantations – and only examined four provinces, providing a more manageable target. The experience level of field researchers. The project model assumed that the field researchers, or assessors, would become leaders in future governance reform efforts. While the organizers remain committed to this model, making this work has proved to be more challenging than they had initially expected. A number of the assessors came from people’s organizations and had little background in budget analysis. The diversity of backgrounds – some assessors were college educated, others only graduated from secondary school; some were experienced budget activists, while others were just beginners – made it difficult to target training workshops at an appropriate level. Based on this experience, subsequent training sessions have been redesigned to provide additional background on budgets, the importance of citizen participation in the budget process, and on the potential for generating additional revenues from natural resource sectors. Participants in the most recent training were also chosen based on their background in a specific sector and past engagement around sectoral management issues. The importance of local knowledge. The original project design relied on researchers drawn from the two national organizations. As the project progressed, it became clear that familiarity with the local context, the ability to fit in, and the knowledge of local dialects and languages would be critical to the project’s success. This affected the selection of assessors and also led to the selection of assessors with more limited experience in budget activism. Assessors also needed a degree of “street savvy.” The sensitive nature of the research – sniffing out possible corruption – generated suspicion. Assessors from local people’s movement organizations were generally better able to respond to potentially dangerous situations and were more adept at cultivating key informants than outsiders who were not from the area. Evolution of the project design. The initial research design focused on the role of provincial governance and revenue collections. Through an initial test of the interview protocol, the project organizers discovered that local revenues and local regulations were more important and that the primary role of resource management at the provincial level was to aggregate data and the decisions made locally. In response to this discovery, the organizers restructured the research plan to collect local data in one or two districts within each province. The scope and focus of the project changed during the field research and as the researchers learned more about how things actually worked on the ground. The evolution of the project design underscores the need for flexibility and the importance of learning and adapting during a lengthy research project. Some questions were too difficult to answer. The project’s initial research design was extremely ambitious. As the project progressed, researchers learned that some questions they’d hoped to resolve were beyond the scope of civil society to answer. Researchers repeatedly found, for example, conflicts in data that couldn’t be reconciled. They also discovered that one of the primary questions they’d set out to answer – how much revenue was lost due to “leakage” – was beyond their ability to accurately answer. They did learn, however, that they could identify evidence of potential corruption that they could report to state investigators for follow up. Everything takes longer than you think. The initial project timeline proved overly ambitious. Nearly every step in the project – from the time needed to conduct an interview to the time needed to write a research report – took longer than expected. Delays in the early part of the project – such as the need to substantially revise the interview tool and provide additional training to field researchers – compounded as the project progressed and required a number of activities to be shortened – such as the time researchers spent in the field – and led to a delay in the production of final reports. In retrospect, the additional time led to improved results. The project leads note, for example, that the lessons learned during the test of the draft research tools enabled them to be more realistic with their assessment of what could be accomplished during a given period of field research. For Inisiatif and FITRA, the project was largely a success. The two organizations’ history of collaboration established the trust needed to respond to unanticipated challenges. As problems or foreseen issues arose, the project team learned to “slow down a little, discuss, and learn.” Working together, they developed a compelling body of evidence documenting systematic problems that prevent the full realization of state revenues from four key sectors in the Indonesian economy, recommended solutions for improving revenue generation and governance, and engaged key stakeholders to increase awareness of the importance of these issues and help ensure that governments have the resources they need to support public services and develop policies that advance the well-being of citizens and communities. What’s Missing in the Fight Against Corruption?